Flow Cytometry is a critical and informative part of all phases of drug development. Knowing which assays to run at each critical stage gate, can streamline your journey to the successful development of your therapeutic. 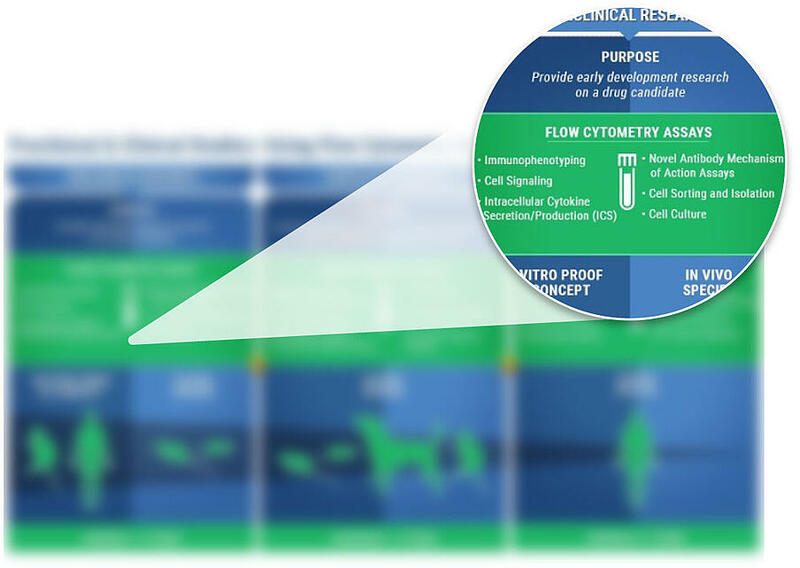 In this Infographic, we illustrate the importance of Flow Cytometry and highlight the different types of assays that can be used throughout all phases of drug development.